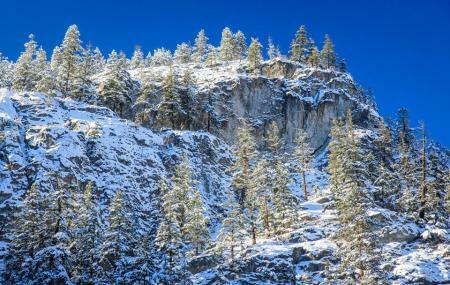 Find hotel near Bromley Rock Provincial P ..
Bromley Rock Provincial Park is a beautiful park in British Columbia, Canada which is a popular cliff jumping and swimming destination situated on the Similkameen River. The sandy beach is beautiful with soft moving current and offers access to the hills. You could also consider camping at one of the campsites there that offer stunning views of the river. There is also a lovely, old-fashioned hand pump where you can fill your water bottles with clear mountain water. This is a wonderful place to visit if you are looking forward to spending a great time with your friends in family. How popular is Bromley Rock Provincial Park? People normally also visit Greenwood Museum while planning their trip to Bromley Rock Provincial Park.